The Swedish Gaming Act provides, rather ambiguously, that for those holding gambling licences, “the marketing of gambling to consumers shall employ a degree of moderation”. Whilst it would certainly be more helpful if the regulation provided more detailed provisions on what would meet the moderation requirement, in a country where the concept of moderation is central by the principle of “Lagom” (meaning “not too little, not too much, just right”) it appears key that the concept to be applied by operators should simply be one of common sense: with the use more sophisticated advertising techniques and corporate social responsibility and brand awareness advisable over quick calls to action (the days of the “Play Now” and “Win Quick” tagline could well be over). Certainly, operators should remain mindful of the overall provisions of the Swedish Gambling Act as a whole. Here, as a licence holder, operators are deemed to have the knowledge, experience and organisation required to run a Swedish licenced operation, are expected to do so in a manner which has a high level of consumer protection and which seeks to limit the negative effects of gambling. In view of this, seeking to apply the moderation requirement in favour of the operator rather than the consumer, could well result in a quickly restricted market, conversely, if operators conduct themselves in a manner which shows willingness to realistically apply moderation in favour of the consumer, there will be no need for the Swedish Gambling Authority or the Consumer Ombudsman to look towards penalties and restrictions to ensure operators fall into line. Some have hailed this moderation principle as “new” however as of 1st January 2017 this was implemented into Swedish law as relates to gambling advertising. Moderation was there before and it remains now, as was the jurisdiction of local consumer agencies for operators servicing Swedish consumers. The large difference going into 2019, is that local Swedish authorities can now for the first time confidently extend the arm of enforcement to foreign operators whom now hold licences with greater effect and with the Swedish Consumer Ombudsman announcing legal action in December against a Malta based operator for failure to apply the moderation principle, it is clear that this is the intention. For an industry that has historically been rather attached to the “bonus” as a marketing activity, what remains to be seen is how these newly licenced operators balance the moderation requirement against and alongside the restriction on bonuses. The Swedish Gambling Act explicitly provides “a licence holder may not offer or provide bonus offers beyond the first occasion in which the player participates in a game”, which can be broadly interpreted as meaning that operators should be able to offer what the industry would largely recognise as “Welcome Bonuses” but outside of this, bonuses are restricted. The Swedish Gambling Act defines a bonus as “a discount or similar financial incentive that is directly linked to the gambling” and therefore, if a strict interpretation is applied, non financial incentives falling outside of this definition can arguably continue to be offered by operators throughout the customer lifetime. For an operator looking to implement such an approach, the concept of moderation becomes increasingly key and moreover the availability of such incentives to gamble should be constantly balanced against all other information known of the player to ensure that consumer protection remains at the heart of the marketing (for example where a player has used responsible gambling tools or is otherwise indicating possible behavioural play issues, removal from all incentives and marketing would be an evidential first step of willingness to get this right). 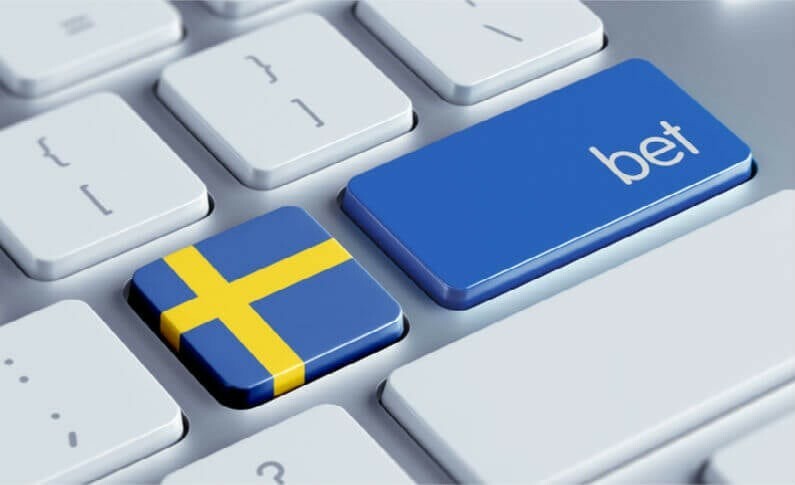 As of 1st January 2019, all consumers in the Swedish market could be determined as new players under the regulation for bonusing purposes, despite such consumers being registered with operators under different European Union gambling licences prior to this: meaning operators could view this as a chance to spam an existing player database with excessive calls to gambling action or some form of welcome bonus. Thought should be given to how this should be applied, what form such a bonus should take in light of the requirements of the regulations and which players you can honestly and with any form of integrity include in such a marketing strategy. The conduct of each operator in this regard could well be considered by the regulator as a clear indication of how that licensee is implementing its marketing strategy and plans to conduct itself under the new regulation. Rethink and review your marketing strategy with a view to this requirement and be proactive in doing so. A “wait and see approach” could well see you in the line of fire for enforcement and if this approach is undertaken by all operators entering the market, it will give the overall impression that the industry simply is not getting this right nor taking it seriously. For too long the gambling industry has been attached to lazy marketing of easy gambling calls to action, heavy bonusing and loyalty programs with many operators failing to look at or achieve general brand awareness attached to responsible and good customer care. It could be hard to argue that you have sought to apply moderation when the key element of your marketing strategy remains solely pushing consumers heavily to gamble. It may seem counter intuitive from a marketing perspective but here the aim would appear to be to ensure that those wishing to gamble are aware of your brand and product and choose it, rather than feel pushed or in any way pressured to gamble. Aiming for the long game and applying consumer care to all marketing activities whilst seeking to limit, review or outright prohibit quick and cheap calls/ pushes to action could be considered wise in this newly regulated environment.